We believe that every child with a disability is a valuable part of our society and deserves to live with all their rights upheld. 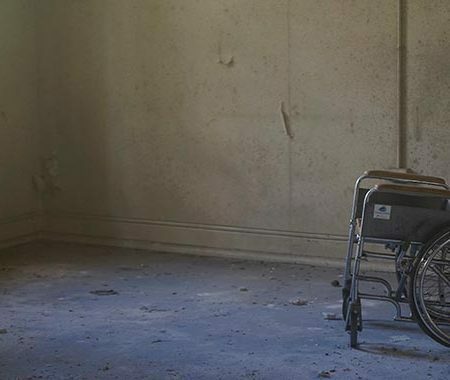 Disability rights are human rights, and we are committed to help children with disabilities, the most marginalised people in society, to live with dignity. Partner with us by donating here to our cause to uphold the rights of children with disabilities who are in need of essential nappies. Buy your tickets to come run, walk, wheel or stroll at 07h30 on Saturday, 3 November 2018 at the Johannesburg Zoo. CHILDREN WITH DISABILITIES. DESERVING OF DIGNITY, RESPECT & NON-DISCRIMINATION. The nappy represents many of the challenges and needs facing children with disabilities, and the failure of society and government to adequately support this vulnerable group. Many children with disabilities require nappies due to their disabilities that may impair control of their bladder and bowel movements. The expense of nappies is sadly something which many families or caregivers cannot afford. Children with disabilities are often left in the appalling state of being wet, uncomfortable, and at risk because their caregivers don’t have access to enough clean nappies to meet their physical needs. As the nappy is an essential health item that government is liable to provide, their lack of accountability to provide nappies is unacceptable. We believe that children with disabilities need to have their dignity and rights upheld, and their health and physical needs met. 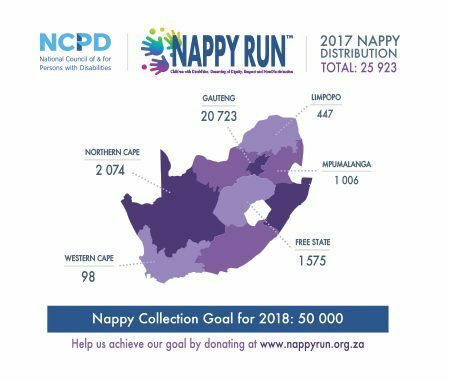 So join us by donating towards nappies for our children with disabilities and/ or participating in the annual Nappy Run event taking place at Johannesburg Zoo on the 3 November 2018 at 07h30 (registration opens at 06h30). Nappy Run is an annual campaign that is organised by the National Council of and for Persons with Disabilities (NCPD). It runs from 3 October to 3 December and concludes on International Day for Persons with Disabilities (IDPD). The campaign falls within SA’s Disability Rights Awareness Month (DRAM) which takes place every November. Over two months, the Nappy Run campaign raises awareness about the issues facing children with disabilities. 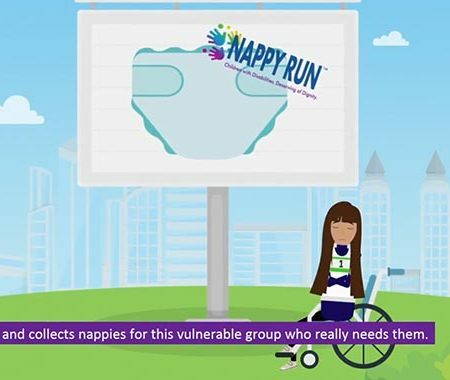 Nappy Run undertakes advocacy and lobbying, while also raising funds to buy nappies for children with disabilities. The highlight of the campaign is a fun run that we host at the Johannesburg Zoo in November each year. Uphold the rights of children with disabilities who are in need of essential nappies. Support our country’s children with disabilities while having fun! Come run, walk, wheel or stroll on Saturday, 3 November at the Johannesburg Zoo at 07:30. 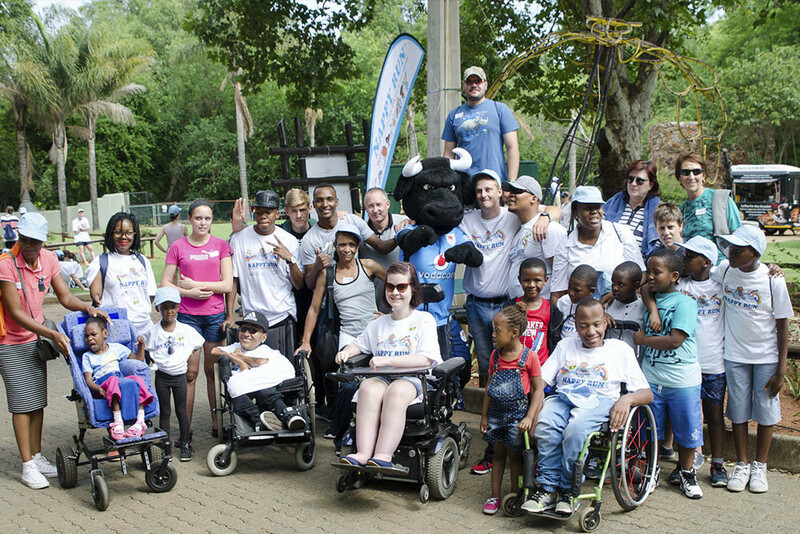 The Nappy Run fun run is the highlight of an annual national campaign to raise public awareness about children with disabilities and to raise funds for much-needed nappies for them. For other news and updates, please visit our Facebook page.